“The heroin epidemic has gotten outrageous,” says Dr. Alicia Murray, Board Certified Psychiatrist & Board Certified Addiction Psychiatrist. Heroin and other opioids are ravaging communities across America. Deaths from heroin increased 328% between 2010 and 2015. The abuse of prescription painkillers and heroin (opioids) can create brain changes that lead to addiction. One way to treat opioid addiction is with Naltrexone (brand name Vivitrol), a type of medication-assisted treatment which is an injection administered by a physician or another medical provider once a month. “It’s important to remember that these medications are most effective when they’re used in conjunction with counseling, therapy, recovery work, self-help groups and many other ways that we know are very helpful to people for who are trying to abstain from substance,” says Adam Bisaga, MD, Research Scientist and Professor of Psychiatry. Naltrexone blocks opioids from acting on the brain, so it eliminates the possibility of euphoria, takes away the reward of getting high. This feature makes naltrexone a good choice for preventing relapse in people who have been detoxified from opioids. Watch this Naltrexone/Vivitrol video, where you’ll hear insights from experts Dr. Bisaga, Dr. Murray and Mike, a 24-year-old patient committed to recovery, along with his parents. 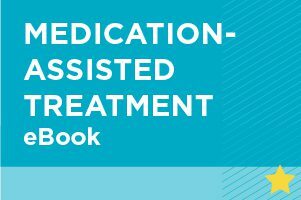 For a comprehensive overview of medication-assisted treatment, including Naltrexone/Vivitrol and how to find the right treatment provider for your child, download our eBook.